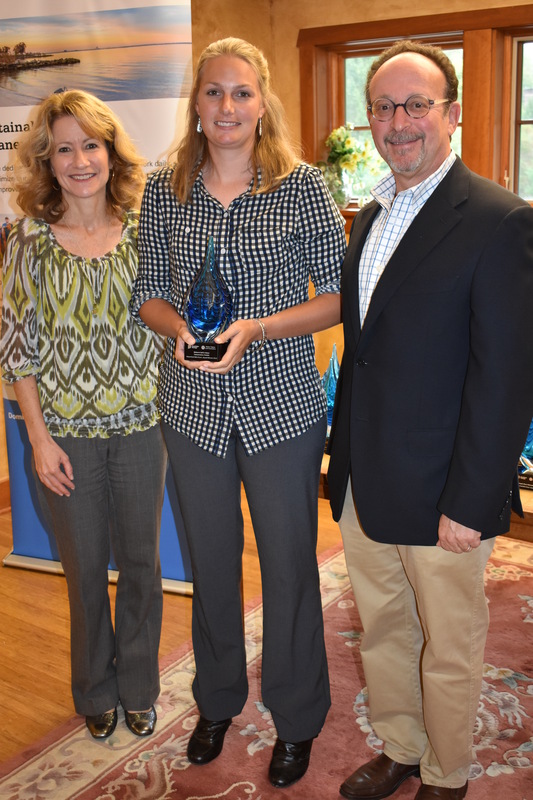 On Oct. 3, Dominion Energy and the nonprofit Western Reserve Land Conservancy awarded $37,500 in grant funding to 17 Ohio watershed groups. The Watershed Mini Grant Award Ceremony & Healthy Watershed Summit took place at the Land Conservancy’s Conservation Center. 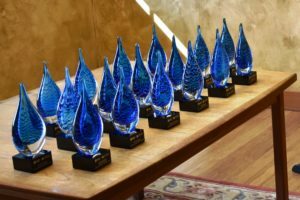 Belmont Soil and Water Conservation District (St. Clairsville, OH) received the 2018 Spotlight Award and a grant of $6,500 in support of the Crabapple Creek Restoration Project. The project will remove a submarine bridge that has been identified as a source of sediment erosion and habitat degradation. Installation of an alternative stream crossing will ensure protection of the exceptional aquatic life found in the creek, designated as Excellent Warmwater Habitat and Outstanding State Water in Ohio. 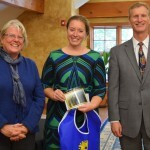 Bass Lake Association (Chardon, OH): $1,500 to purchase and install up to 700 new trees and shrubs as part of the 2019 Beaver Creek Wetland and Stream Restoration Project. Buckeye Lake for Tomorrow (Buckeye Lake, OH): $1,500 to produce marketing and engagement materials. Chagrin River Watershed Partners (Willoughby, OH): $2,500 to install native plants along Corporation Creek to help soak up stormwater, stabilize the banks and improve the scenic beauty of Erie Road Park. Carroll County Soil and Water Conservation District (Carrollton, OH): $2,500 to work with local farmers to reduce soil erosion by establishing permanent vegetation in critical areas. Cuyahoga Soil and Water Conservation District (Cleveland, OH): $2,500 to plant trees, restore areas around rivers with native vegetation, and clean streams throughout Cuyahoga County with community and student volunteers. Friends of Euclid Creek (Cleveland, OH): $2,400 to conduct a tree planting project at Hawken School that will promote the infiltration of stormwater runoff and support Euclid Creek water quality. Friends of Hudson Parks (Hudson, OH): $2,500 to complete a steam restoration project on a portion of Tinker’s Creek headwater stream at Darrow Road Park. Friends of the Lower Olentangy Watershed (Columbus, OH): $2,400 to remove invasive species and restore native vegetation restoration along 1,000 feet of Kempton Run. LoCo ‘Yaks (Lorain, OH): $1,500 to purchase a fully outfitted adaptive kayak to help those with physical disabilities enjoy time on the Black River and Lake Erie. Medina County Soil and Water Conservation District (Medina, OH): $2,500 to purchase water monitoring equipment for organizational and community use. Northeast Ohio Public Information and Public Education (Painesville, OH): $1,500 to create a Reduce Your Runoff: Slow it Down, Spread it Out, Soak it In The calendar will include resources to educate the public about runoff including information on rain gardens, rain barrels, checking vehicles for leaks and spills, choosing environmentally friendly household products, etc. Ohio Wetlands Association (Amherst, OH): $700 to create materials for Ohio Vernal Poolooza, a three-day conference on vernal pool biology, management, and monitoring. 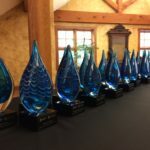 Save the Lake Coalition (Medina, OH): $500 to help offset the costs of materials needed in monitoring Chippewa Lake’s water quality. Rocky River Watershed Council (Cleveland, OH): $2,500 to establish a bioengineered streambank stabilization demonstration area at the Strongsville Backyard Preserve for local education purposes. 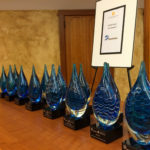 Tinker’s Creek Watershed Partners (Twinsburg, OH): $2,500 to support the collection of quality data in the Tinker’s Creek watershed to track trends, prioritize projects, and tell a compelling story about the watershed. 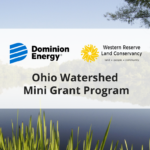 Dominion Energy and Western Reserve Land Conservancy launched the Watershed Mini Grant Program in 2015 to serve organizations working to protect and improve land around rivers, lakes and streams throughout Ohio. Since the program’s inception in 2015, more than $142,000 has been awarded to 38 different watershed groups across the state. 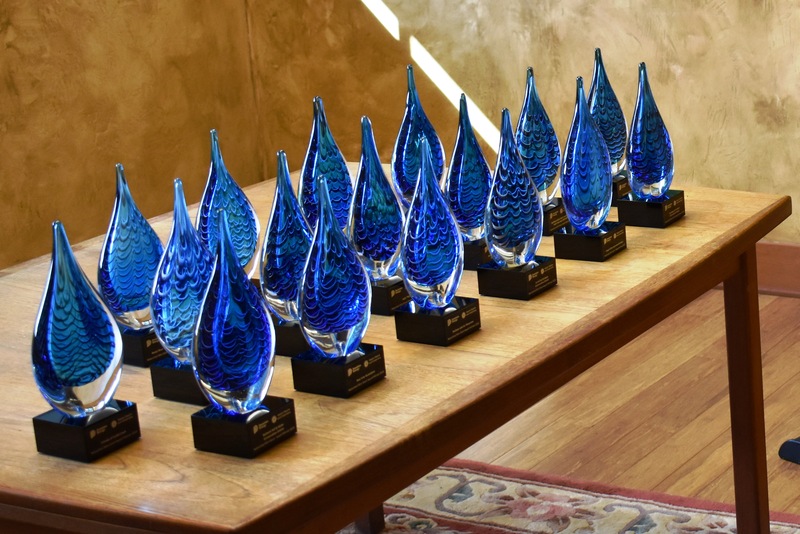 In addition to the awards ceremony this year, a Healthy Watershed Summit was held by Chagrin River Watershed Partners, West Creek Conservancy and Western Reserve Land Conservancy at the event. The organizations led an efort to convene the Central Lake Erie Basin Collaborative and West Creek Conservancy to submit a proposal to the US Endowment for Forestry & Communities for a Healthy Watersheds Consortium Grant. At the Summit, stakeholders discussed a regional approach to protecting healthy watersheds through land preservation, stream corridor enhancements, and local and regional planning, as well as integrating the efforts of watershed organizations and land trusts to accelerate progress towards protection of Lake Erie and the region’s watersheds.